The Oxford University Liberal Democrats is one of the oldest - if not the oldest - university political societies in the country, tracing its origin to the Liberal Club founded in 1913. I was the President of OULD in Trinity Term 1990, which seems a lifetime ago now, as I suppose it is. The Club in its different incarnations boasts a great variety of Liberal (and not so Liberal) luminaries amongst its alumni - but you can find out about them on other pages. The Friends of OULD was started by Dr Tim Leunig, latterly Tutor in Economic History at the London School of Economics, in 1993, as a means of keeping former members in touch with the Club and what it was doing - and of raising money, quite understandably. We had a newsletter called 'Despatches' which metamorphosed into 'A Liberal View' a few years later. I took over in 1997, when a rendezvous was arranged at Carfax in Oxford with Mr Mark Egan who thrust a box of papers into my hand and a second box which turned out to contain hundreds of Club ties commissioned some six years before by my friend the late Mr Sam Best-Shaw; following the precedent set by my predecessors, I failed to sell a solitary one, though I did lose a few and eventually the lot. He then ran away very fast. FOULD was pretty successful (in the sense that it continued existing), managing to keep people informed and even supporting the election of councillors and other campaigns. Thanks to a slew of friends who somehow remained friends we filled a magazine each term. But by mid-2001 it was clear that 'Liberal View' had run out of steam, and even if it hadn't, I had. I failed to find anyone else to palm it off on and the whole thing sputtered to a halt. The previous incarnation of this website was partly an online means of continuing FOULD, but that never really got off the ground, and my shifting political allegiance made that ambition increasingly unrealistic. I hold no animosity towards the Liberal Democrats, far from it, and in fact have great sympathy with the party for the way it dealt with the dreadful choice it faced after the General Election of 2010 and the way it has deported itself since, which seems as honourable as any path pursued by a political party that actually aims at doing something practical. But I'm not recognisably a liberal any more. What remains is a collection of bits and pieces of research I conducted into the history of the Club and some of the figures connected with it. This isn't available anywhere else, so it seemed worthwhile to maintain its presence here. So go on, have a look. Some of it's even interesting! Although this area of the website wasn't conceived in this way, as well as a memorial to 'All Souls of the faithful departed of the Oxford University Liberal Club' (as I dedicated the history you can find on the Sales page), it's also, to an extent, a memorial to my friend Sam. 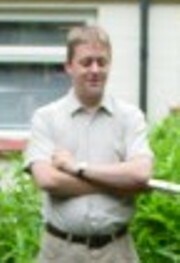 Sam was Secretary of OULD in Michaelmas 1990, the term after I served as President. I don't think I really knew him as well as I should have done. He was a gentle, urbane, witty person, with the ease and assurance of his aristocratic background but not a speck of the arrogance that could have brought with it. After Oxford, Sam travelled to the Czech republic, to Finland and elsewhere. He met and married Lena, and they had Adam and Rebecca. He loved them, cricket, birdwatching, and beer, not necessarily in that order. He was a liberal in the very best sense. Sam qualified as a financial advisor, but he always wanted to teach maths, his beloved subject (his 'sums', as we always teased him). Barely weeks after he started teaching at a girls' secondary school in Maidenhead, he was diagnosed with a brain tumour. A bit shamefully, after having only met him a handful of times since Oxford days and occasionally remembering to write, it was only really after he was ill that I made the effort to visit him and his family. Sam lost his fight against cancer in August 2009. I had the sad privilege of offering his funeral service and sharing duty at his memorial service a few weeks later with the local vicar. Requiescat in pace.